This need to easily harvest information from Active Directory is the motivation behind ADHQ's Active Directory Reports. We started from the ground up and built a reporting engine capable of retrieving almost any information from your network. ADHQ has hundreds of built-in reports which expose over 1 thousand Active Directory Attributes and Common Properties, all categorised into a clear folder structure. And if the built-in reports don't meet your needs, no problem. 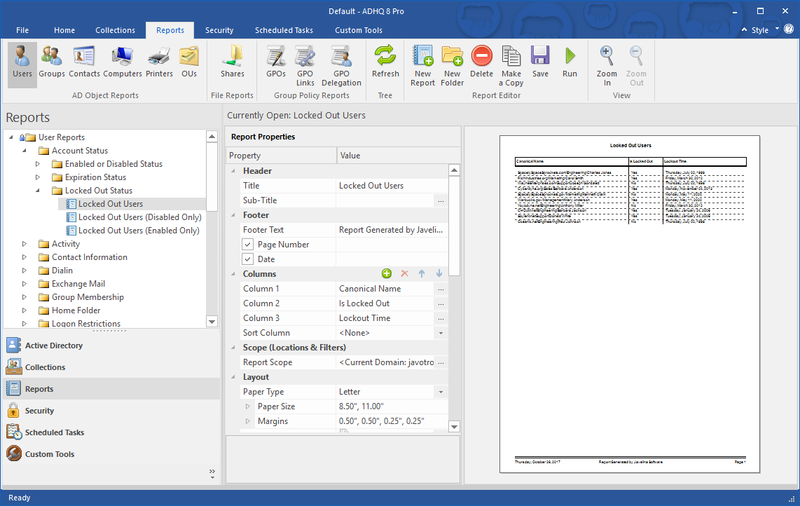 You can create new custom reports to show any attributes you want, in whatever format you need.